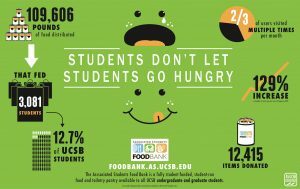 The AS Food Bank is open! They are open Mondays, Wednesdays, Thursdays, and Fridays from 9:30am-6pm. Please don’t forget to bring your access cards (they are scanning them instead of signing in on paper). 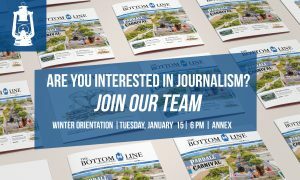 The Bottom Line Newspaper is recruiting writers, illustrators, photographers and videographers. 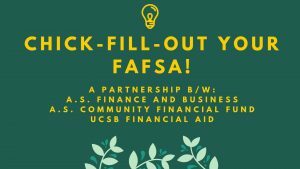 a brief overview of FAFSA with a representative from UCSB Financial Aid! 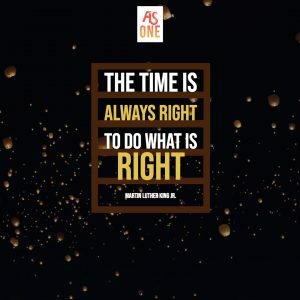 -EOP and your resources on campus! 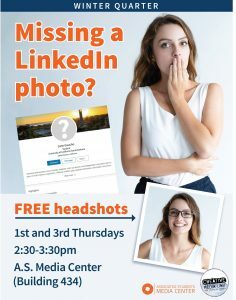 Need a head shot? Today’s the day, rain or shine! 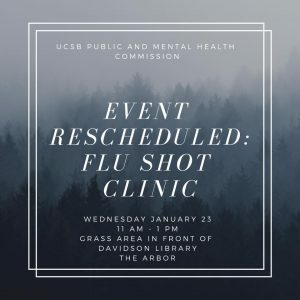 The Department of Health & Wellness presents, in collaboration with Associated Students and the Mental Wellness Center: Mental Health First Aid. Limited Space available for Student Affairs Student Staff and Org Leaders on campus! 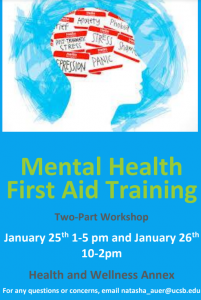 Mental Health First Aid is an 8-hour course that teaches you how to identify, understand and respond to signs of mental illnesses and substance use disorders. It also teaches an action plan to use in a psychiatric emergency. The course fee (paid for by H&W and AS) includes the course book and certification for three years upon passing. Help make Mental Health First Aid as common as CPR! This is voluntary, which means student staff will not be paid for the hours, however, H&W & AS will pay the class fee including certificate! Healthy snacks provided. 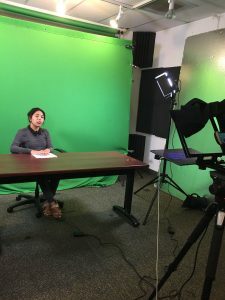 UCSB TV – Winter 2018, Week One: your source for information about on-campus events, Gauchosports, and local news! Join @COSWB for an hour-long High-Intensity Interval workout with a certified fitness instructor. 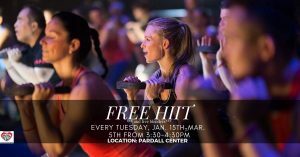 Every Tuesday from January 15th – March 5th from 3:30-4:30 pm in Pardall center! Free blenders will be provided for this class! Want to meet more transfers? 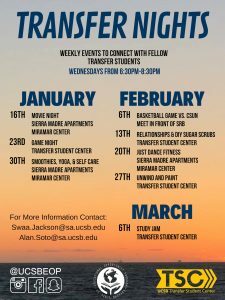 Come to Transfer Nights throughout winter quarter! This Wednesday, 1/16 is movie night at the Miramar Center in Sierra Madre. 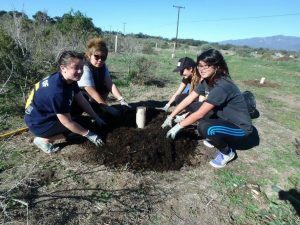 Kendra Sandoval joined Associated Students as the Director of Community Affairs, Student Development and Leadership on January, 9, 2019. Kendra has previously worked as a Director of Community Affairs and Outreach Director in Denver, Colorado. She is a very welcome addition to our team!